The concept behind La Maison du Relax is a timeless one: rejuvenation by way of fresh air, rest and relaxation at an elegant countryside retreat. 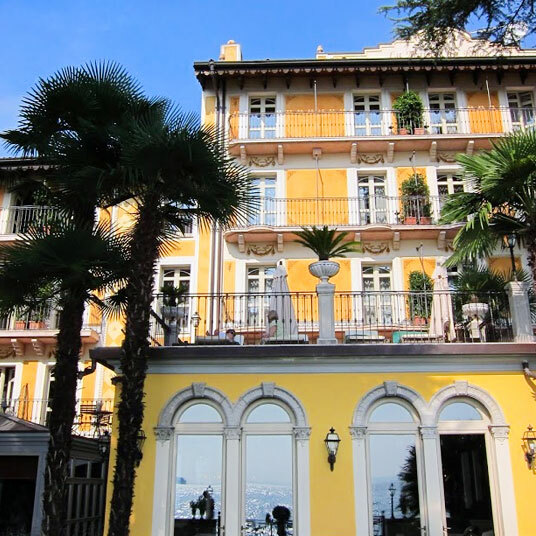 Set on the shores of Lake Garda, about an hour outside Verona and not too much farther from Venice or Milan, the hotel enjoys about as peaceful a setting as the name implies, all breezes off the water and rolling green hills in the distance. La Maison du Relax would be enticing enough if it were merely a fine and classic example of rural Italian hospitality. And that it is, right down to the pair of friendly hosts whom you’ll likely come to know by name. But what really sets it apart is a state-of-the-art wellness program that encompasses everything from Ayurvedic massage to the application of hyperbaric oxygen for rejuvenating sagging skin. There are devices for analyzing DNA to predict potential pathologies, tests for food allergies, electrical muscle stimulators, pulsing light technology for hair removal; the list goes on. Lest it sound like eyebrow-raising pseudo-science, know this: the core wellness program was developed by a Nobel winner, and it’s all overseen by an excellent staff of doctors and health professionals. The team is devoted entirely to the well-being of the small number of guests at the hotel — heaven for a hypochondriac, and for the rest of us, about as pleasant a departure as possible from the busy waiting room of a doctor’s office. For all the technology on hand, the most enjoyable courses of treatment might just be the simplest ones. Meals, which can be taken on a wide gazebo overlooking the lake, are both healthful and delicious, and tailored to the dietary needs of each guest. As expected, there’s an emphasis on local and organic ingredients, with lots of fresh fruit and lightly cooked veggies. Also in the low-tech, high-pleasure category are the many massages on offer. Just reading the menu will lower your blood pressure. The suites, too, are suitably relaxing — tranquil spaces that prove zen minimalism is not the only path to peaceful accommodation. The bedrooms are pure countryside elegance — chandeliers dripping with crystals, views of the lake, dark hardwood furniture, soft lighting. If the suites make one stylistic conceit to modernity, it’s in the bathrooms, which are more like what you’d expect of a contemporary spa-hotel. In short, they’ve made modern updates in all the right places, taking a fine old concept and restoring its youthful glow. Please note: The spa at Maison du Relax is closed on Mondays. Valerio Vatullo Airport Verona is approximately 43 miles (70 km) from the hotel. Desenzano del Garda train station is 15 miles (25 km) from the hotel and Brescia train station is 21 miles (35 km) away. Please contact CustomerService@TabletHotels.com for assistance with airport transfers.